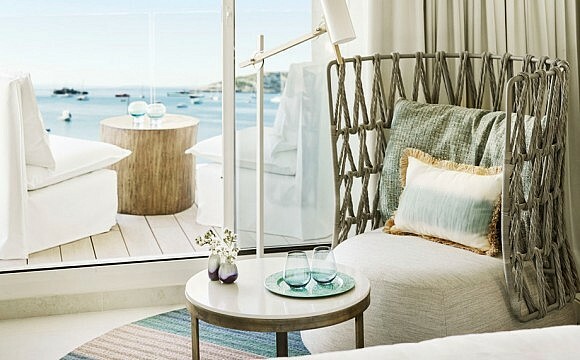 The idea of a fantasy escape chiefly revolves around spectacular accommodations, glorious food, equally interesting drinks and all-round entertainment. 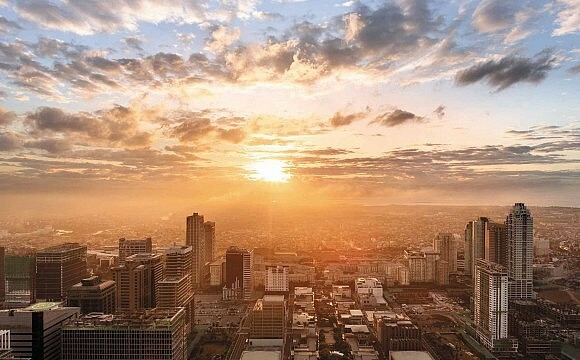 City of Dreams Manila, imagined and conceived on a 6.2 hectare site just minutes from the Manila Bay, set out to deliver on all counts, integrating luxury and lifestyle brands from Nuwa and Nobu to Hyatt and DreamWorks. 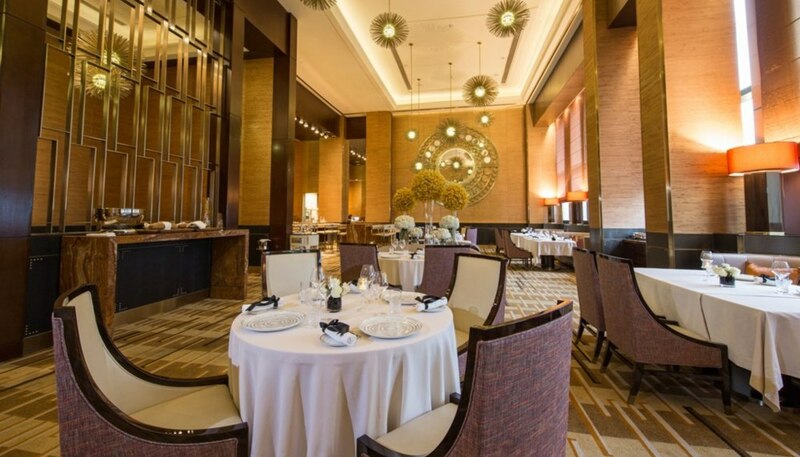 This integrated resort boasts over 20 restaurants including The Tasting Room which recalls the fine French dining of its Michelin-laden brethren around the world. The plush surroundings of The Tasting Room. Foie gras royale with roasted potato, fine slices of geoduck and fresh sea urchin. 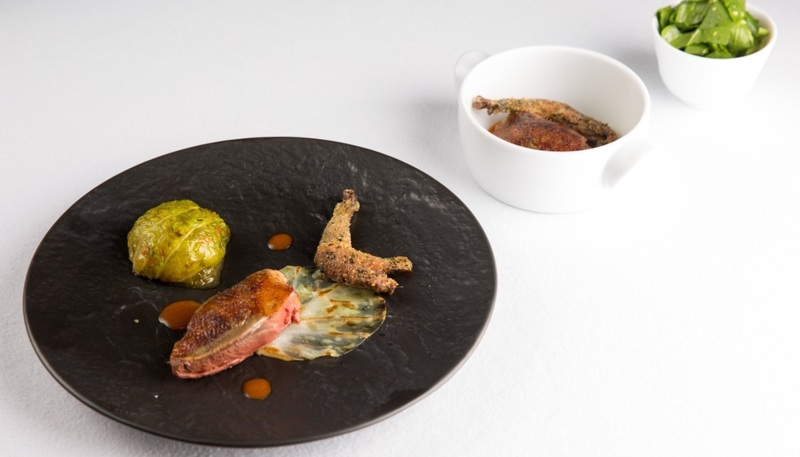 Pigeon with stuffed cabbage, Mostarda diCremona Spinach, Ginger and Calamansi. Once you check in at the resort’s Nobu Hotel, you access a zen-like oasis, spirited away from the outside bustle. 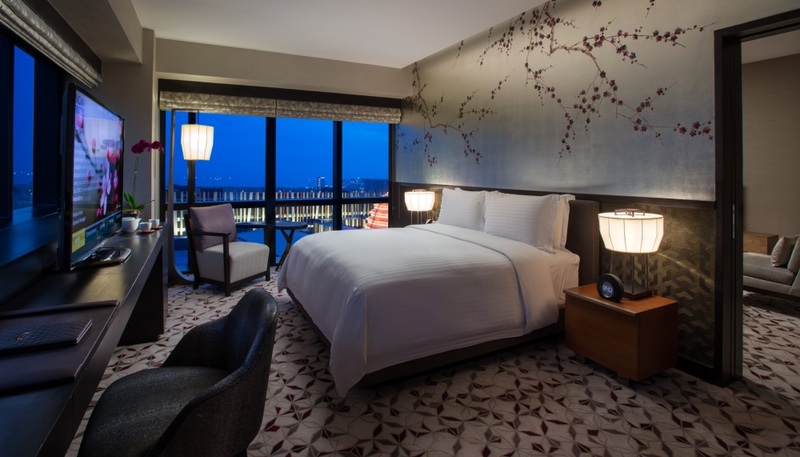 As one might expect, the hotel’s 321 rooms are touched by contemporary Japanese aesthetics; live orchids in pots, Japanese motif-wallpaper and a carpet adorned with origami patterns. The Rockwell Group who designed the rooms, referenced the look of Nobu’s global restaurants by infusing a palette of rich browns, black and white into the spaces. 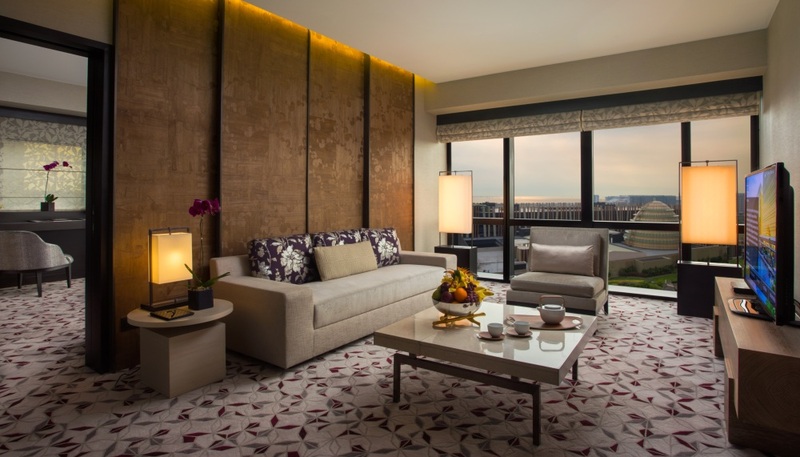 The Nobu Suite, at 68 square metres, features a separate living area and powder room with sakura art on wall panels and a black marbled bathtub. There’s a real sense of omotenashi – the Japanese equivalent of hospitality – among room features and amenities; satin bathrobes come with inner cotton linings and the welcome tray is one of yuzu dome and petit fours. Even housekeeping services come with a touch of thoughtfulness; a half-read book was neatly put aside with a bookmark. 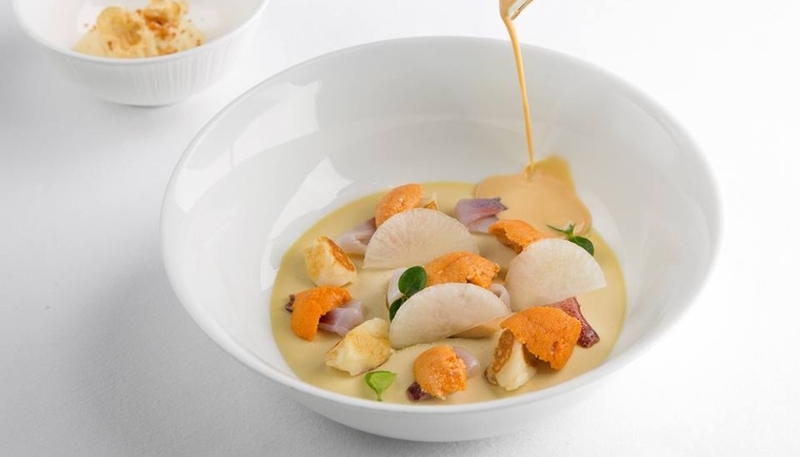 And of course, there’s also 24-hour room service with a menu consisting of highlights from the Nobu restaurant’s chefs, quite a delightful departure from the usual. Unsurprisingly, with Nobu in the picture, the food at and around the hotel is pretty epic. One may elect to begin an evening at the Nobu Bar with a signature Matsuhisa Martini (PHP300 – about RM23.40 – during happy hours), a delicious drink with subtle Japanese-ingredient essences. Or perhaps, with company, one may find plenty of new discoveries among the restaurant’s own brand of in-house wines and sakes, paired with prawn crackers, nori chips and deep-fried wontons. 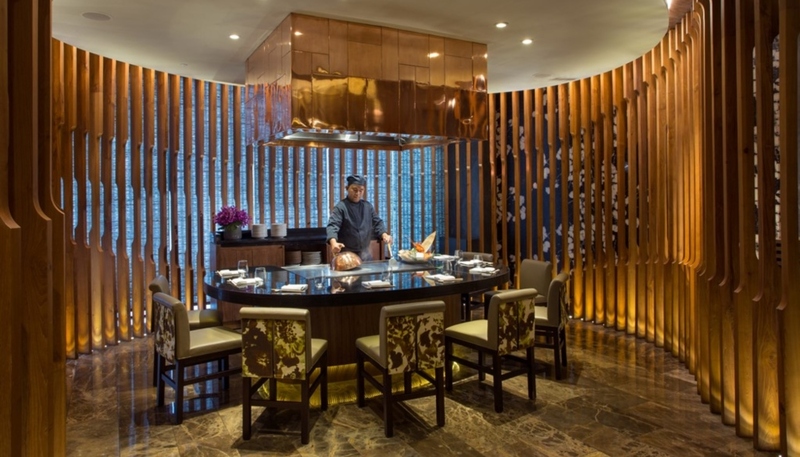 Nobu Manila, located on the pool deck, retains that culinary flair of East meets West which Chef Nobu Matsuhisa had first introduced into Japanese cuisine in the mid 90s. At the long sushi bar, guests can enjoy a view of the action, which heightens the anticipation of each course; the Nobu Signature Omakase (PHP5,070 net or RM395) comprises eight courses. On this instance, the omakase kicked off with an amuse bouche of snow crab jellow with chives followed by an appetiser of otoro tartare topped with French ossetra caviar. All this rests on a base of wasabi soy sauce with dashi, making it incredibly sumptuous and packed with umami. 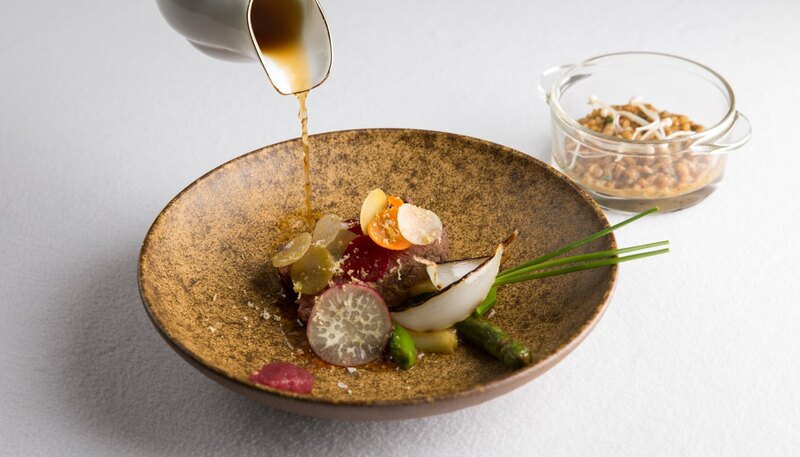 To balance the rich tastes of this dish, Kumomo – a young Japanese peach – is offered on the side to cleanse your palate. Enter the Nobu Manila Restaurant. Nobu’s iconic Black Cod Miso. Assorted sushi of tuna, saba, ika and fluffy tamago was followed by a sashimi trio of salmon karashi su miso, white fish tiradito and yellowtail jalapeno. This signature dish of Nobu is the perfect reference of how the fabled chef has elevated fresh ingredients with a creative use of citrus, black sea salt, ponzu and onions, among others – lessons learned from melding Peruvian influences onto the sushi traditions. On this omakase experience, there is also sashimi salad, rock shrimp tempura served with a creamy spicy sauce, and black cod den miso. The meal culminates with a chocolate bento box of dark chocolate molten lava cake and green tea ice cream. 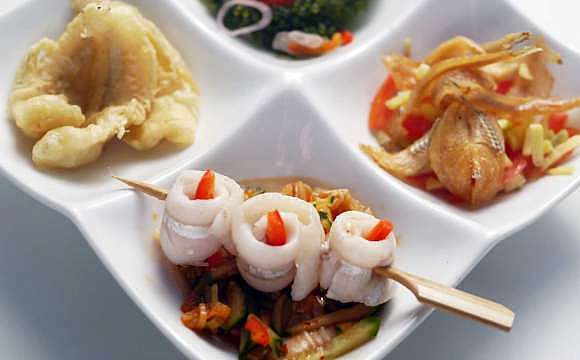 On Sundays, the Nobu brunch (PHP4,446.43++ about RM347++) is a great way to start the day. A live cooking station, kushiyaki, salad bar, as well as freshly prepared sashimi, sushi and freshly shucked fine de Claire oysters are among the highlights. 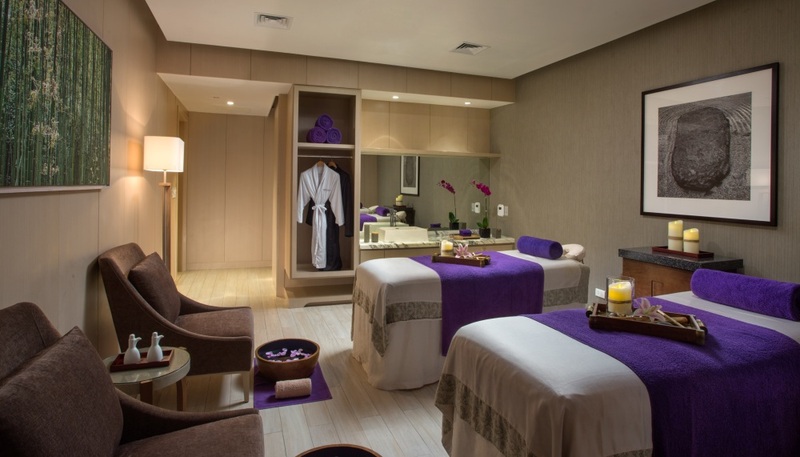 At the Nobu Spa, rejuvenation comes easy within six private rooms made for relaxation. Again, service is impeccable with towels scented with sweet oranges, ginger teas and heated massage beds for guests to easily enter into an ideal state for signature Asian therapies, among them; bamboo massages, thermic stone treatments and the Filipino “hilot" massage. More than anything, the spa is a comforting thought after a day spent enjoying the many facets of entertainment at City of Dreams Manila, from the interactive play space by DreamWorks and indoor golf at K-Golf, to virtual reality experiences and shopping at the Boulevard.